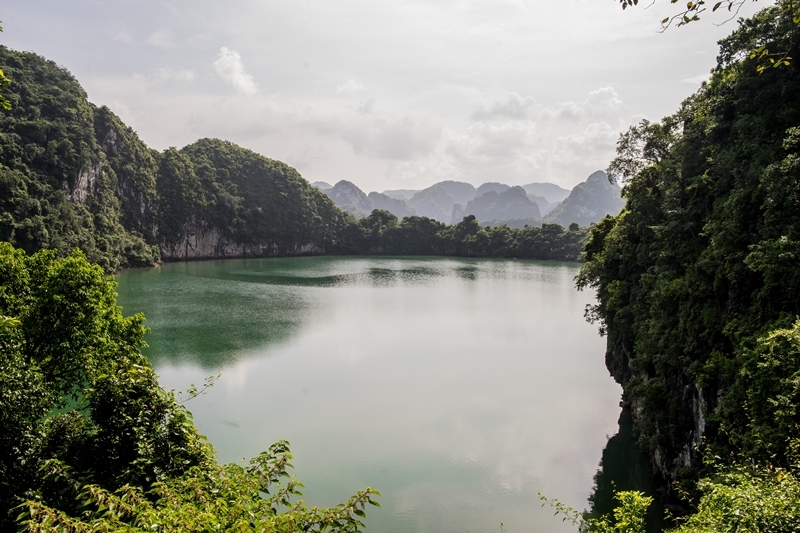 Located to the south of Halong Bay, Lan Ha Bay, home of Cat Ba Island, spreads over an area of more than 7,000 ha, of which 5,400 ha are under the management of Cat Ba National Park. 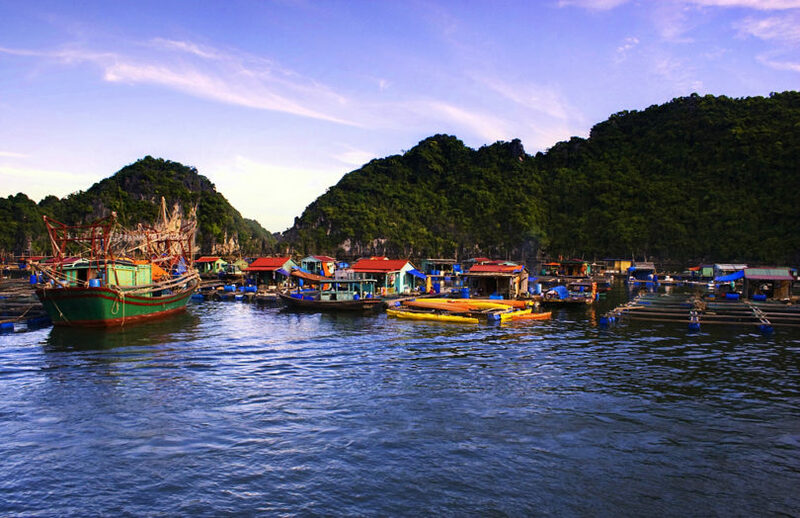 You can visit Lan Ha Bay during a Halong Bay overnight cruise, or rent a boat and start your journey from Cat Ba Island. 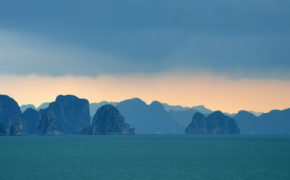 While the administrative boundaries place Lan Ha Bay within Hai Phong Province (not Quang Ninh Province, to which Halong Bay belongs), the similarity in its formations, with some 400 islets scattered over the area, means that locals and tourists alike mutually acknowledge it as a part of the vast Halong Bay zone. Unlike its famous neighbour, Lan Ha Bay reserves a more pristine scenery with an intense concentration of limestone mountains, which the sea surface has partitioned into smaller bays and gulfs. With over a hundred beautiful, small beaches lying at the feet of the mountains, there is no problem finding a good spot for swimming, organizing a private beach BBQ, or an overnight camp. Just imagine, after a long day of exploration in caves and grottos, you can totally relax while bathing in the azure waters and breathing the salty sea breeze of Lan Ha Bay. Lan Ha Bay has gradually gained popularity, thanks to its unspoiled and magnificent natural beauty, and as people look for pristine and less-crowded destinations. Just 30 minutes by boat from Cat Ba Island, you will be charmed by breath-taking views of the bay. A rock-climbing & deep water soloing or snorkelling & diving trip is also a great idea. 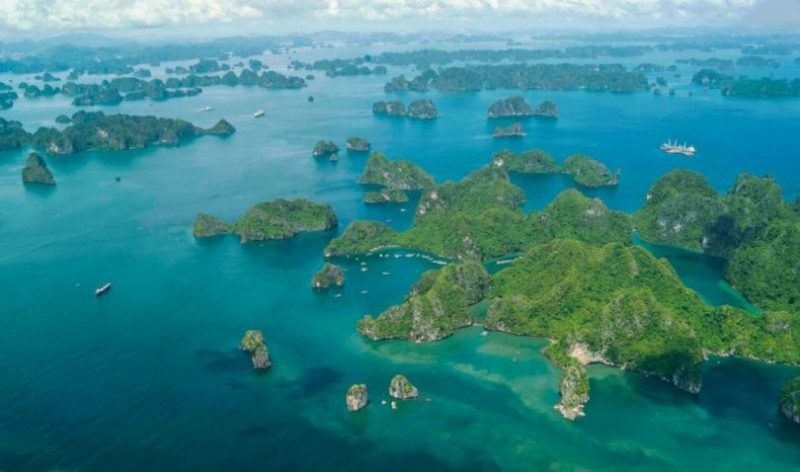 Lan Ha Bay, among the three bays in Halong Bay zone, is considered to have the best water quality for diving and good conditions for rock-climbing (both on Cat Ba Island and on the bay). 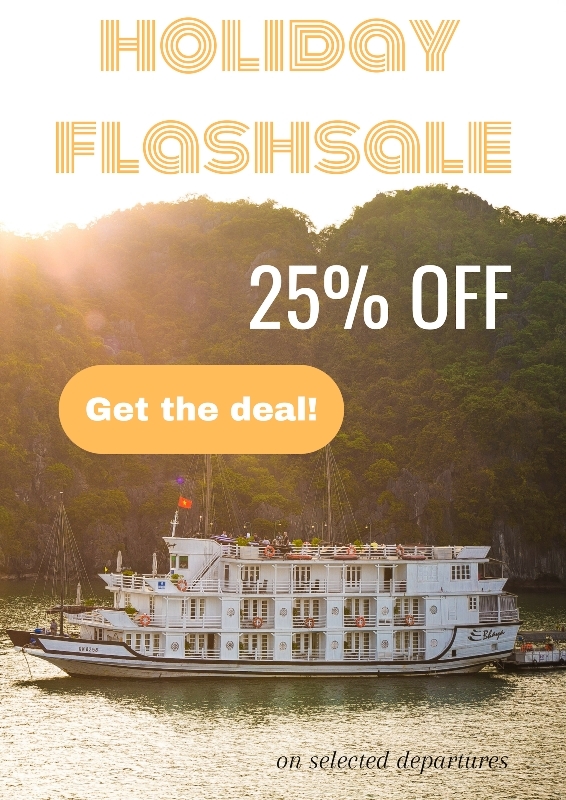 For overnight stays, Lan Ha Bay offers many options of hotels, hostels, and bungalows on Cat Ba Island, Viet Hai Village, and Monkey Island (Cat Dua Island), or you can choose to spend your night on a cruise or junk boat, surrounded by rock and water. In comparison to the core Halong Bay, Lan Ha Bay is not as popular as a travel option, and not many cruises from Halong City’s ports head to this amazing bay. 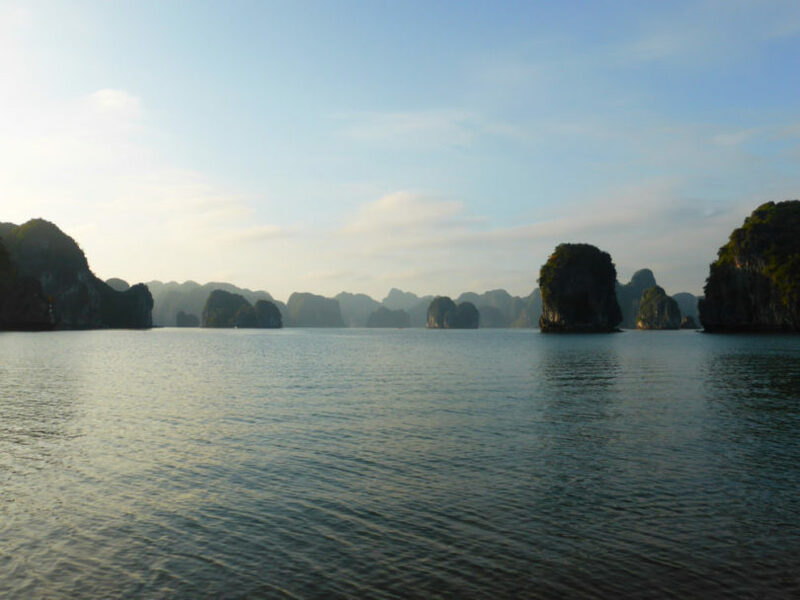 Many travelers also worry they will miss out on Halong Bay’s headline attractions like Sung Sot Cave, Pelican Cave, or Titop Island, if they only visit Lan Ha Bay. You can leave this worry aside and enjoy both Halong Bay and Lan Ha Bay, Vietnam with a 3 Day 2 Night journey on Bhaya Classic Cruise.